Keith believes that males are under-represented in YA fiction. Publishers, editors, agents and librarians are mainly females. He mentioned that that a press release for the Carnegie Medal once highlighted having a male on the judging panel. Keith writes for boys, ‘I hope I don’t alienate women but the 13 to 14 year-old boy is my ideal reader.’ Gayle pointed out that ‘there is acceptability for girl readers to enter a boy book’ but would Harry Potter have been the same with Hermione as the main character? Both Maurice and Gayle commented on how great the blogging community is. 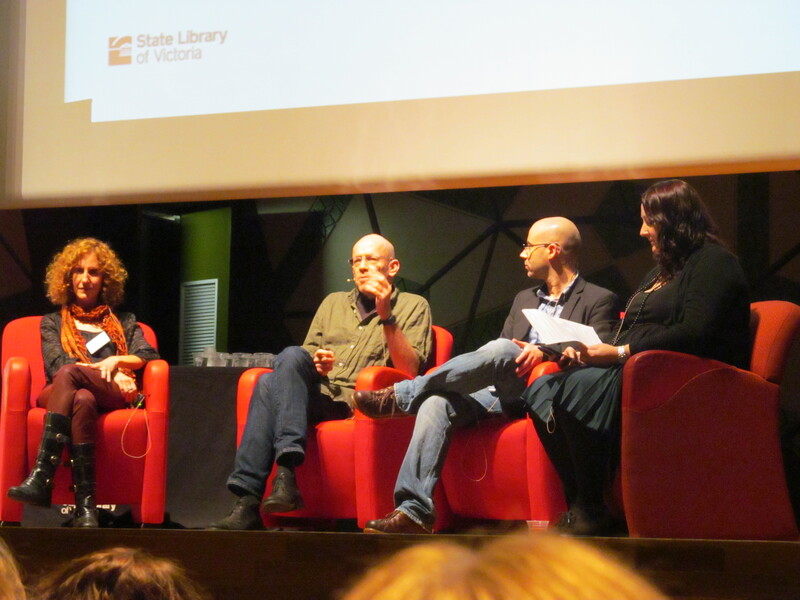 Gayle noted that the ‘incredible conversation going on amongst young people about the books they love,’ and Maurice talked about how a UK blogger helped an author’s book to sell overseas rights. When asked ‘where else does the needle of discussion need to move to?’ Keith said that he wants to see YA authors mixing with adult authors on panels. He also wants acceptance of children’s and YA authors, ‘we’re still talking about the human condition and we’re writing books to the best of our ability.’ Morris wants that needle and dial taken away completely and stop worrying about what kids are reading. Sounds like this was a great event to attend- I love Gayle Forman’s books! It was interesting to read some of the issues YA authors are facing, especially Keith Gray talking about how males are under-represented.